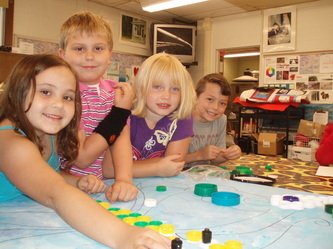 Minnesauke Elementary School students endeavored to make their mark on the world by creating colorful, dot-filled murals and art projects in celebration of this year’s International Dot Day. 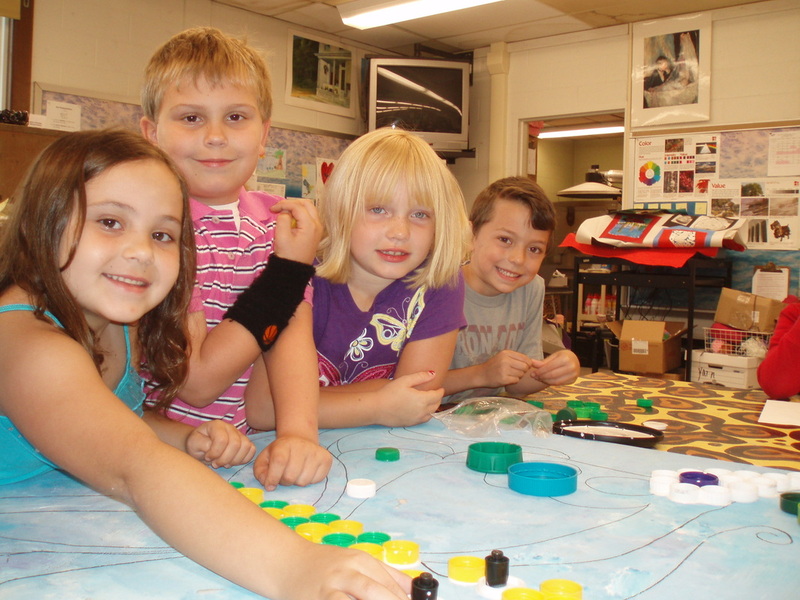 After hearing the story “The Dot,” which launched the global celebration of creativity, courage and collaboration in 2009, the students began discussing the importance of not letting the fear of failure get in the way of trying. 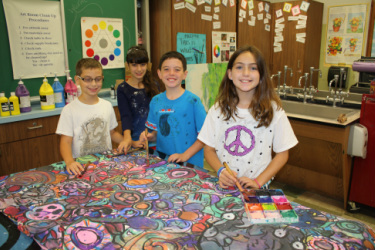 Art teacher Christine Becker coordinated the project at the school and assisted the students in the creation of the murals. 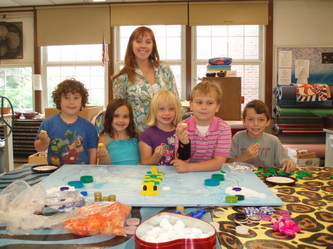 The completed pieces, which are meant to inspire students as they begin their journey of self-discovery, are on display in the main lobby of the school. 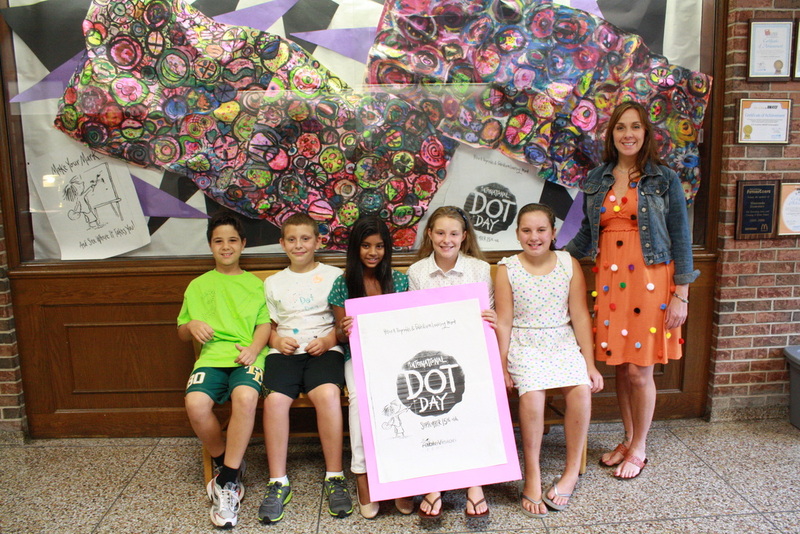 Keeping with the theme of the event, students and staff members also helped to mark Dot Day by wearing polka dot-inspired clothing to school. This year’s international celebration drew more than 1 million participants from 82 countries. 2013 5th & 6th Grade Project: "Minnesauke Community Tree"
Our 5th & 6th grade students created this beautiful mural, which includes a "piece" designed by every student in our school; as well as many of our staff members. A BIG thank you to our PTA and Arts in Education Commitee for supporting this project for our students. This amazing piece is on view right outside of the art room at Minnesauke. 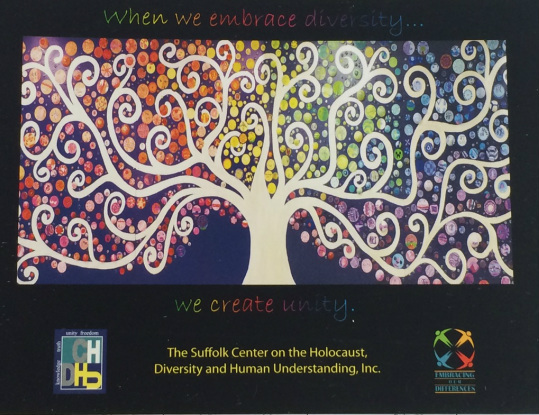 Our tree was also included in the 2013 Embracing Our Differences Art Exhibit sponsered by the The Suffolk Center on the Holocaust, Diversity and Human Understanding, Inc. the Center also selected the image for their 2013 Holiday Card. 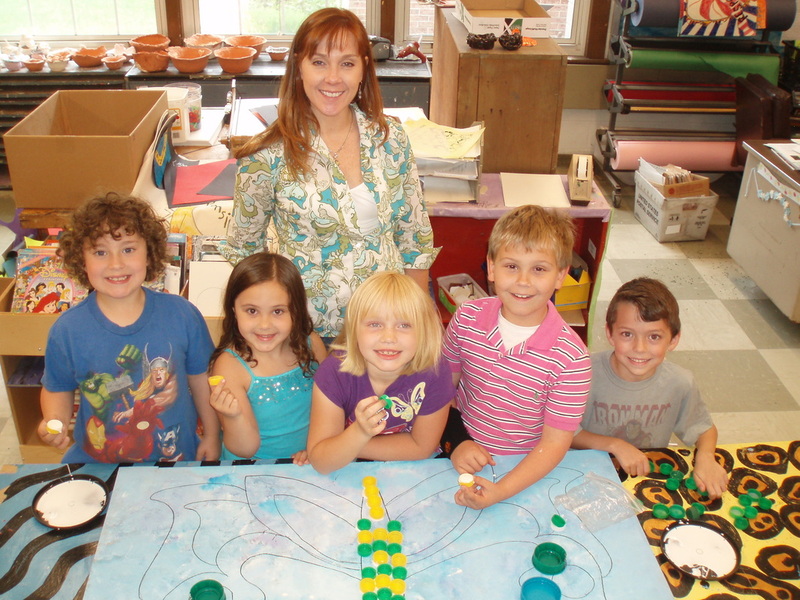 Mrs. Wood's first grade completed a year long recycling art project in the art room; after collecting bottle caps the entire school year the first graders sorted and arranged the caps in to a beautiful butterfly composition with the help of Mrs. Fieldman. 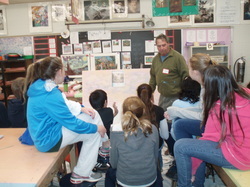 A big thank you to the Minnesauke PTA for sponsoring our Painting with a Visiting Artist project. In December every student at Minnesauke had the opportunity to help create a grade level, 48"x60", stretched canvas painting inspired by a famous artist. 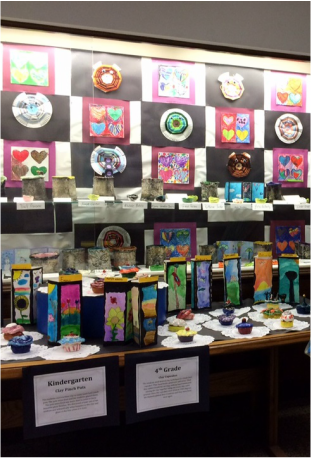 The completed artwork was on display at Minnesauke for our Annual Art Show. Congratulations to our auction winners! 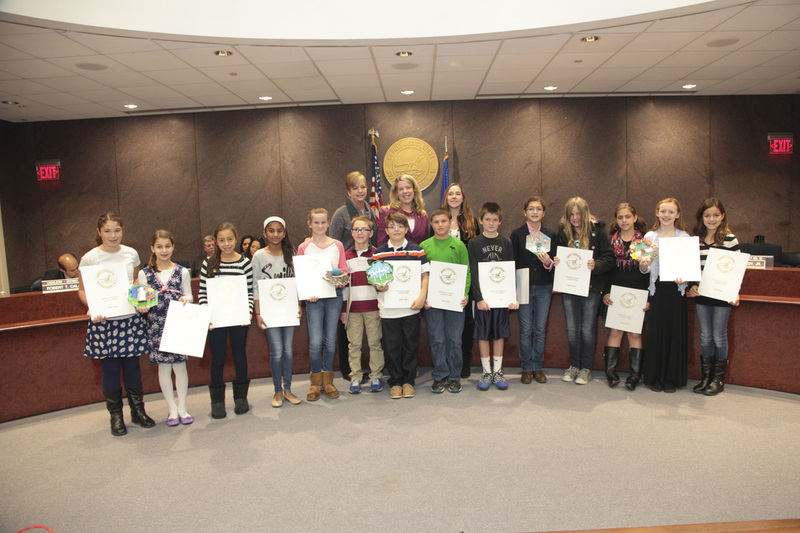 Congratulations to our 6th graders who recently attended the "Embracing Our Differences" outdoor art exhibit at Heckscher Park. Their artwork was selected by a prestigious group of curators to be part of this very special exhibit, hosted by The Suffolk Center on the Holocaust, Diversity & Human Understanding.The original artwork is on view at Minnesauke.